At this moment in time, the cryptocurrency market has a total capitalization of over $200 billion USD. As you may imagine, these funds aren’t distributed evenly, which means that people can individually own anywhere from a few bucks up to millions of dollars. So who are these investors? Bitcoin whales are individuals, hedge funds, and Bitcoin investment funds holding the highest amount of coins. In other words, these are the biggest Bitcoin investors on the market. Due to the anonymity associated with Bitcoin’s blockchain network, it is difficult to say who owns what, but we know a high percentage of the coins is held by whales. At this moment in time, several of the major Bitcoin investment funds—meaning the biggest Bitcoin investors—include Bitcoins Reserve, Coin Capital Partners, Pantera Capital, Falcon Global Capital, Bitcoin Investment Trust, Fortress, and the Global Advisors Bitcoin Investment Fund. It’s believed that all these funds manage hundreds of thousands of Bitcoin, which can only enter digital currency exchanges via special arrangements. Bitcoin whales are highly relevant to the market, as massive coin movements arranged by this group have the power of influencing prices and can create buy/sell trends. With this in mind, a Bitcoin whale that decides to sell part of their coins can plummet prices, as numerous others follow the trend and engage in panic selling. The same concept is valid when large amounts of coins simply move or are purchased. Now that we’ve discussed just what is a whale investor, let’s see how much of the market they own, how many of them there are, and where they’re keeping their investments. According to a study made by ChainAlysis, at this moment in time, the Bitcoin whales group is a cluster made up of roughly 1,600 investors who hold around $37 billion in Bitcoin. This means that they hold almost one third of all the Bitcoin in circulation—close to 5 million coins. The coins are kept in wallets containing at least 1,000 BTC each. To put things into better perspective, here are some statistics that will present how Bitcoin wealth is distributed amongst its richest users. 3 addresses containing 100,000–1,000,000 BTC, or $2 billion USD. Unsurprisingly, statistics reveal that 96.87% of addresses contain a balance between 0 and 1 BTC. So who has the most Bitcoins? When it comes down to Bitcoin whales, it is impossible to determine how many of the market’s big players are individuals, exchanges, or hedge funds, due to the semi-anonymous status of the Bitcoin blockchain. It is important to keep in mind that Bitcoin whales remain irrelevant to the market as long as they engage in normal trades and don’t start selling thousands of Bitcoin. 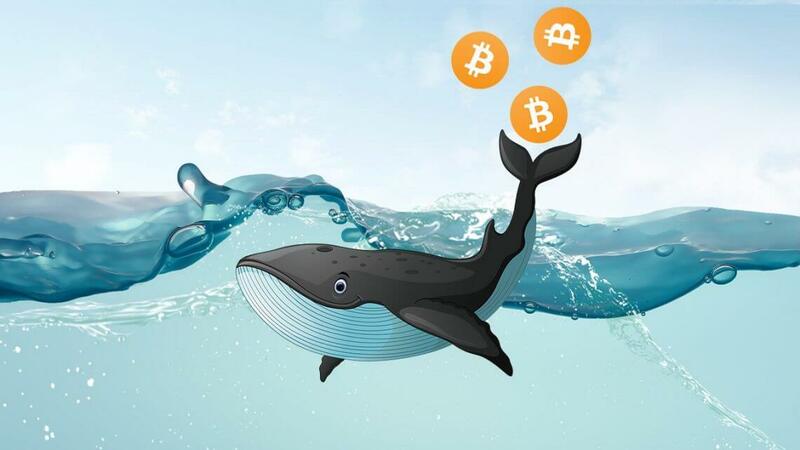 However, it is believed that when moving money, these Bitcoin whales don’t send all their coins in one large transaction, but rather in thousands of smaller transactions, to avoid attracting attention. This often leads to speculation on the market—price adjustments that shouldn’t actually happen. Even so, there’s nothing that can be done to stop the market from adjusting its prices based on big transactions. What is Bitcoin liquidity? Oftentimes, there are two definitions associated with liquidity. The first, and most commonly used, refers to an asset’s ability to be easily converted into cash, whereas the second term refers to when an asset can be purchased and sold at its fair market price. During its years of existence, Bitcoin has faced periods of increased liquidity, but also periods of illiquidity. Generally, it is important for this cryptocurrency to have good liquidity, as this allows the community to readily use Bitcoin in whichever way they desire. Research has shown it’s likely the liquidity problem has negatively influenced Bitcoin prices over the years. It has also increased the likelihood of sudden price swings—something we also know a Bitcoin whale could impact—which are generally damaging to the market. So far, it is believed that there are several factors capable of influencing Bitcoin’s liquidity. When the number of cryptocurrency exchanges increases, users are easily able to convert their Bitcoin into fiat, or any other digital currency or asset. Liquidity improves as long as there is a constant increase in the transaction volume and frequency on the market. As exchanges evolve and start providing customers with a wider array of services, such as loans, Bitcoin’s overall liquidity will increase. While Bitcoin ATMs aren’t used nearly as much as online exchanges, they provide a great method through which a user who is just starting out can purchase Bitcoin or convert their coins into cash. As such, ATMs are essential for a wider acceptance of the digital currency. During the last couple of years, several Bitcoin debit and credit cards were released to the market. By making Bitcoin-to-cash transactions possible, the liquidity of the market can quickly grow. With this in mind, Bitcoin cards are a great choice when paying merchants who have not yet decided to accept crypto-based payments. These cards are also quite cheap to operate and often offer commissions that are more advantageous when compared to exchange rates. At this moment in time, there is no standardized approach related to how cryptocurrency is treated and regulated by governments. This has led to big disparities between countries—you’re unlikely to find a Bitcoin whale in locations with strict regulations—and hence, reduced liquidity. Regulatory frameworks that are unfriendly to the crypto market can easily reduce the overall liquidity of Bitcoin. For instance, China banned domestic cryptocurrency exchanges from conducting business nationally—meaning Bitcoin’s liquidity instantly dropped for all its Chinese users. However, it is believed that unified, crypto-friendly regulations would encourage a large number of people throughout the world to switch to this payment system. Considering that users know the tax and consumer protection implications associated with Bitcoin, this will lead to an increased presence of the coin, more innovative services, and considerably higher chances for mass adoption. The last steps toward ensuring increased liquidity for Bitcoin are merchant acceptance, worldwide adoption, and increased awareness. At this time, thousands of merchants throughout the world accept Bitcoin as a form of payment, yet hundreds of thousands do not. Merchant acceptance would vastly increase the number of daily transactions, as Bitcoin holders would easily be able to pay with their coins, rather than credit cards or cash. It might even encourage the Bitcoin whales to spend more! So the conclusion in this case is that increased and prolonged use of Bitcoin as a medium of payment leads to increased liquidity and a better, friendlier, less speculative, and more profitable market. Based on this, increased acceptance leads directly to a wider market adoption of the coin. Unfortunately, all of this isn’t possible without advocating for increased awareness. While most people have heard about Bitcoin, very few know what a cryptocurrency actually is or how it works. As mentioned earlier in the article, the identity of most Bitcoin whales is unknown. After all, nobody wants to admit they’re sitting on a fortune, as it would attract all kinds of trouble. However, the identity of several Bitcoin whales is already known, so here are five of the richest members of the Bitcoin whale club. The anonymous creator of Bitcoin is believed to own around 980,000 coins that he mined himself during the early days of the cryptocurrency. In other words, he is sitting on a fortune of $6 billion, which he has held since 2009. So far, the coins have never moved, which is nothing short of curious. Cofounders of the Gemini exchange, Bitcoin evangelists, and brothers. Two of the richest crypto whales, the Winklevoss twins purchased $11 million worth of Bitcoin in 2011, which is far more valuable now, granted the increase in price. Several other tales of their massive cryptocurrency investments have been picked up by the media. A venture capitalist worth billions and one of the few known Bitcoin whales. Back in 2014, Draper, who was also an early investor in Skype, purchased 30,000 Bitcoin from a government auction. At that time, the coins were worth $19 million, and he hasn’t spent much of the money. He’s a venture capitalist and the founder of the Digital Currency Group, one of the most prominent investment funds in the cryptocurrency industry. Silbert is another of our known Bitcoin whales. In a 2014 US Marshals auction, he reportedly purchased 48,000 BTC, which is now worth more than $250 million. Despite its confusing cryptocurrency regulations, the US government holds thousands of Bitcoin, which have been seized because of their involvement in criminal activity. Every now and then, Uncle Sam holds public auctions, selling off part of it.